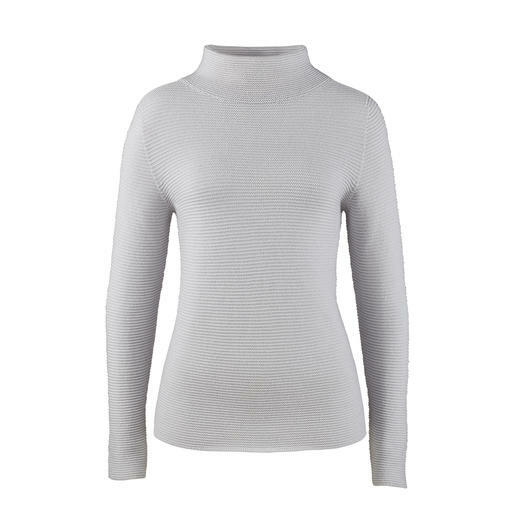 Longer back with diagonal ribbed knit. Raglan sleeves. Rounded hem. 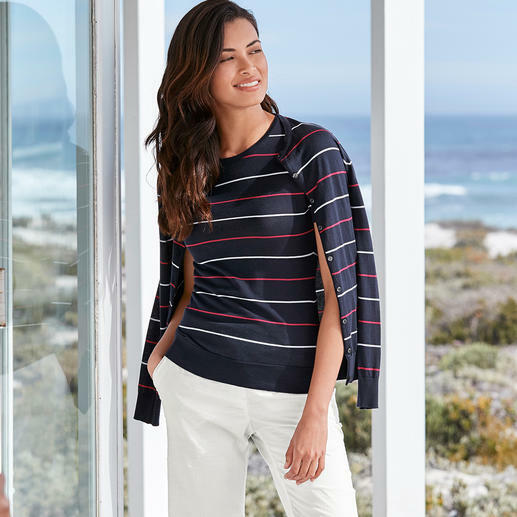 On-trend colours, on-trend stripes. 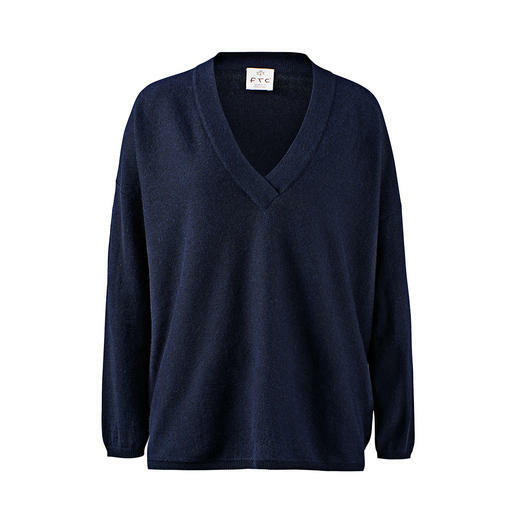 The fine-knit twinset by John Smedley, England. Pure luxury made from precious Sea Island cotton. 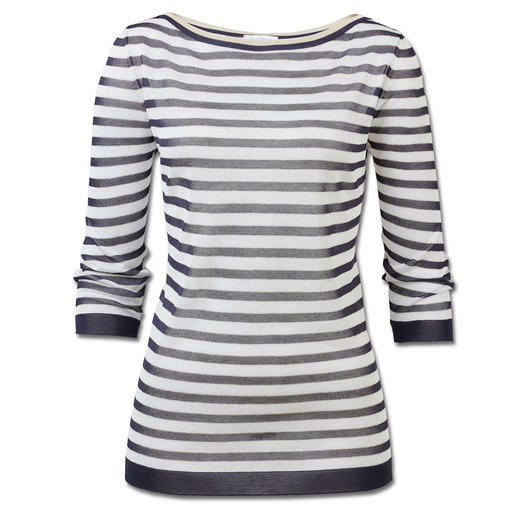 On-trend colours, fashionable stripes. Chunky look. Contemporary length. Weighs only 550 grams (1.2 lbs). 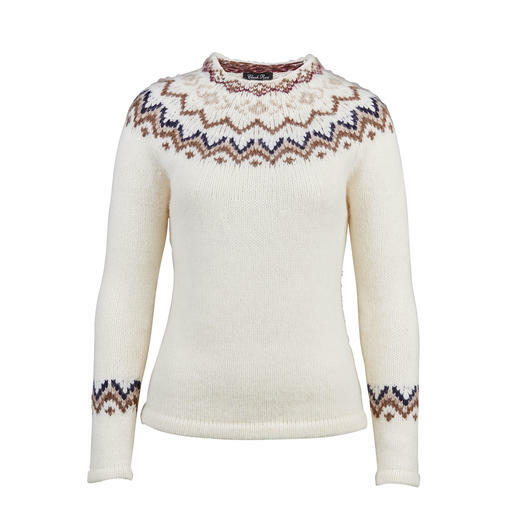 Weighs only 320g (11.3 oz) – thanks to fluffed-up yarn made of valuable baby alpaca wool. 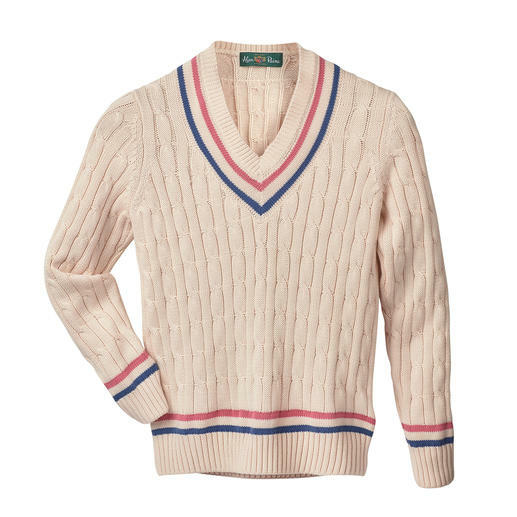 Rare cobweb knit. 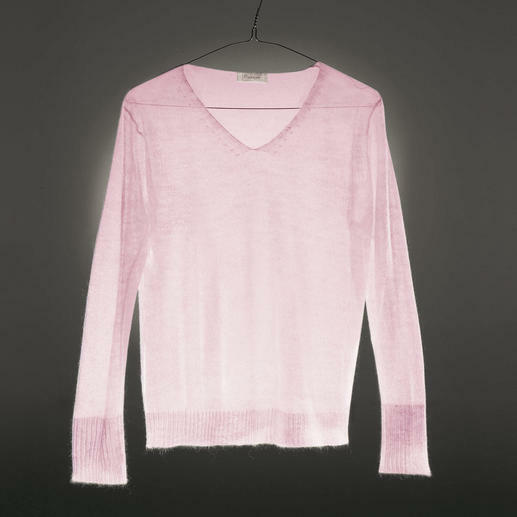 Airy and still a fully fashioned knit. Your most important travelling companion. 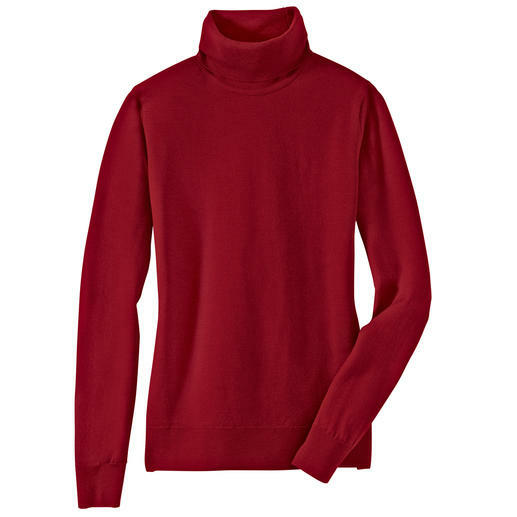 A pullover weighing only 7oz. 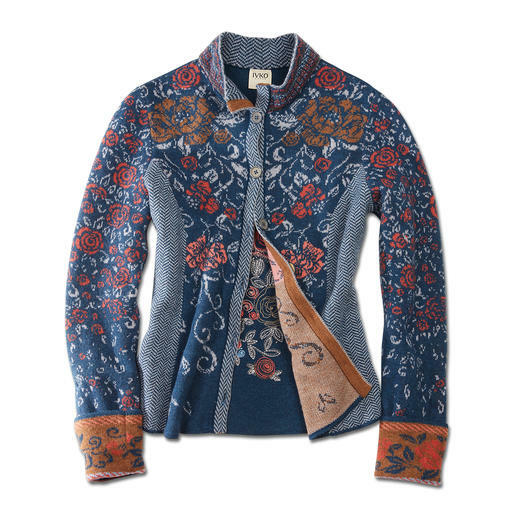 Extraordinary multicoloured jacquard knit. A rarity from Serbia. By IVKO. Frills, mixed patterns and powder shades: Three trends – yet not too flamboyant. 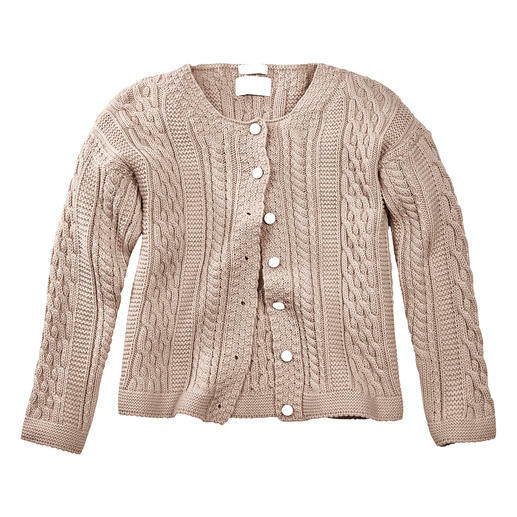 The stylish answer to common cable knits: Traditional Aran pattern knitted in England. It doesn’t get any finer. 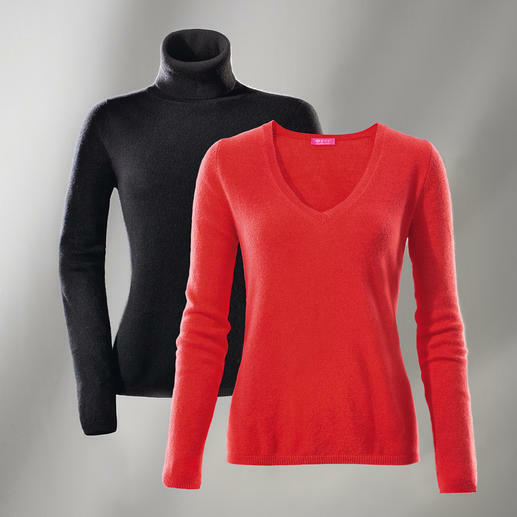 These featherweight pullovers by John Smedley fit into every handbag. 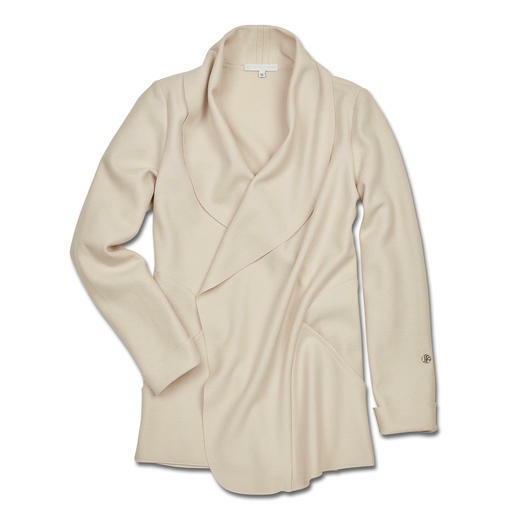 A rare find: Luxurious pullover made of 100% camel hair. Spun in England. Knitted in Europe. The original from Ireland: Patented Aran pattern by Inis Meáin. Frills, mixed patterns and vibrant Colour Pops: Three trends – yet not too flamboyant. Soft and warm. 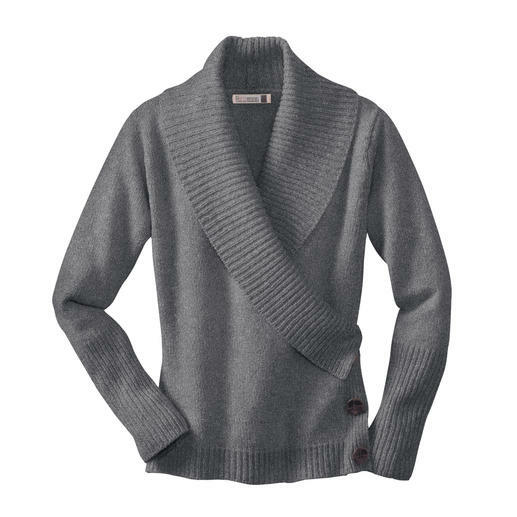 Nice and snug thanks to the cashmere wool - timeless and hard to find. 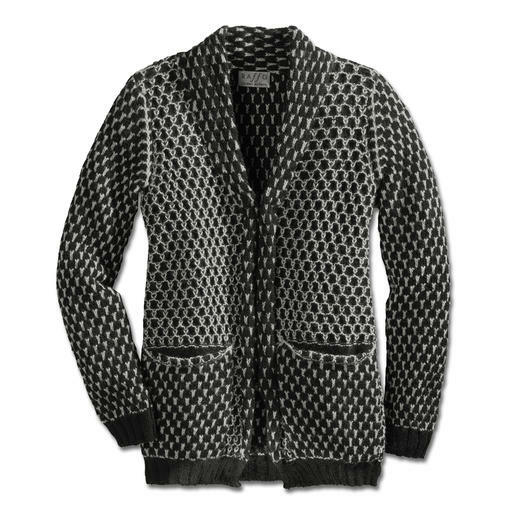 Bouclé summer cardigan for supreme comfort. By ­ANNECLAIRE. Fine like a couture jacket. Versatile like a jean jacket. 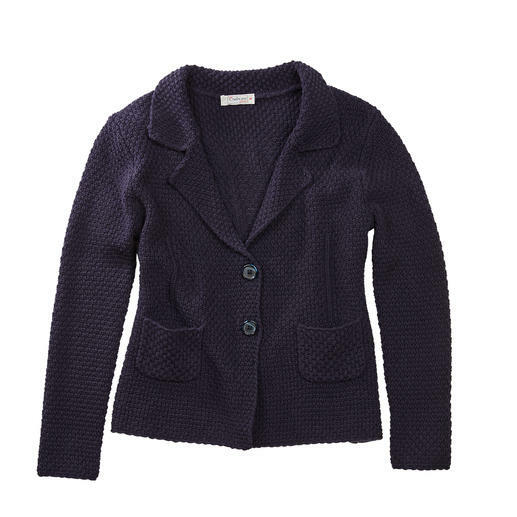 And comfortable like a knit jacket. By Saint James. 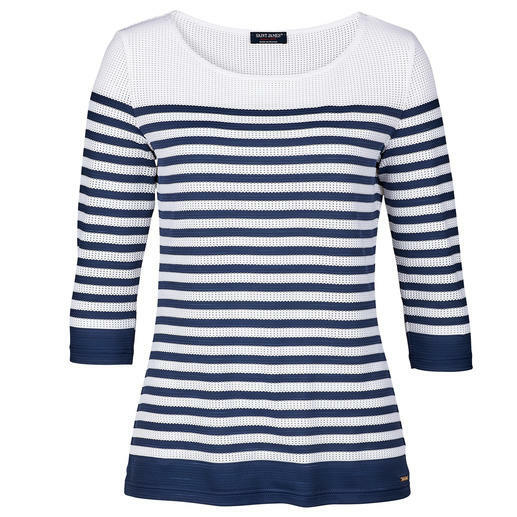 The summer favourite among cotton pullovers. Crêpe Giza cotton. 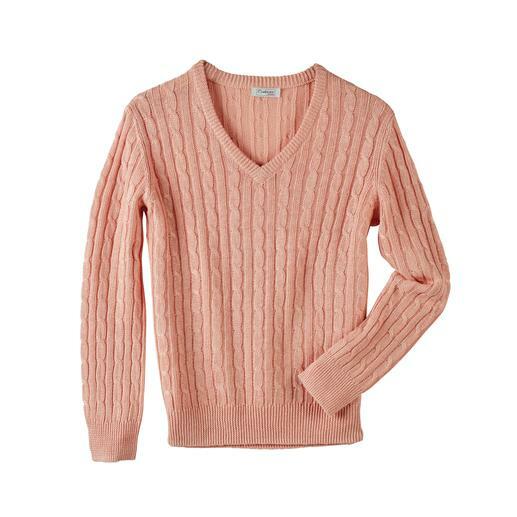 Knitted from airy linen: The pullover with cable pattern in a summery style. Made in Ireland. By Carbery. 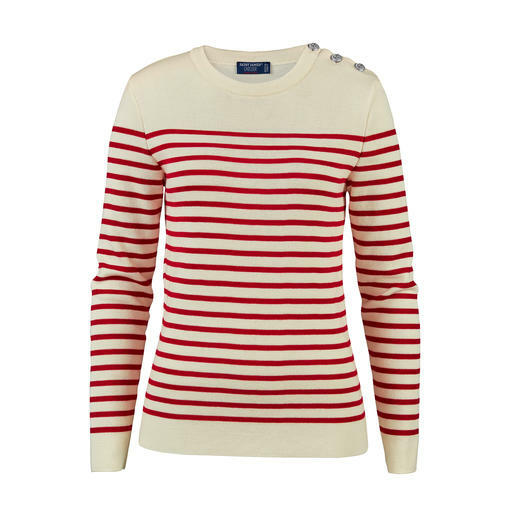 The fashionable version of the maritime striped jumper. 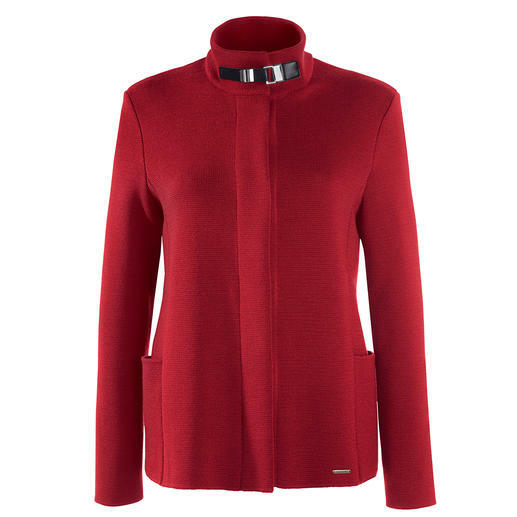 With sparkling Lurex yarn and a trendy sheerness. Exquisite Pima cotton. Casual cable pattern. Feminine, fitted style. By Carbery. 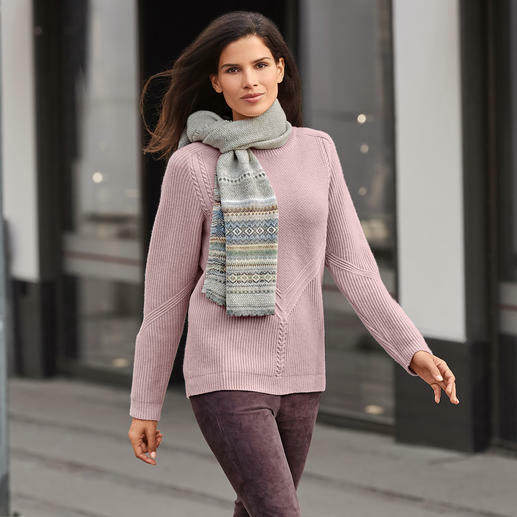 On-trend all over knit, traditional made in Ireland. By Carbery in Clonakilty. 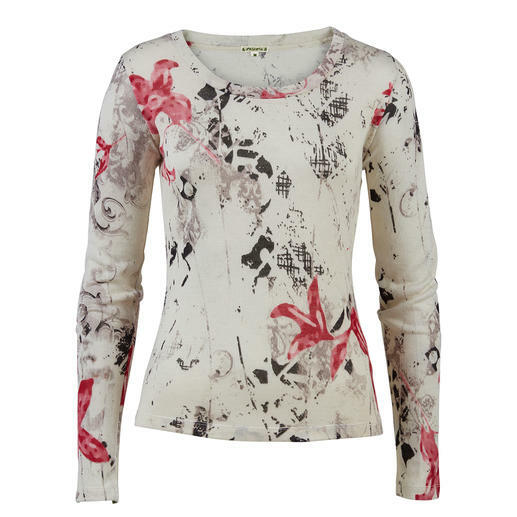 Exclusive to Fashion Classics. A classic becomes a trendy evergreen. 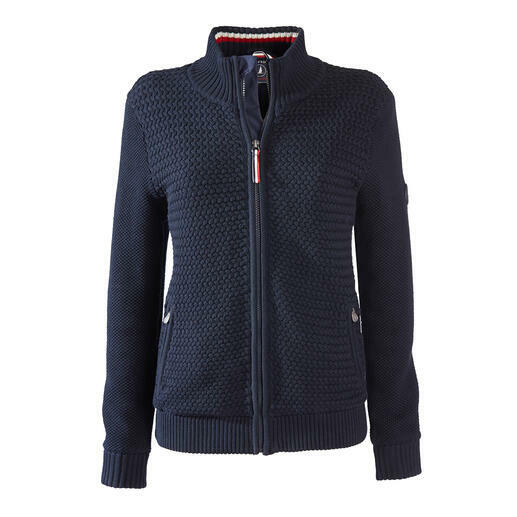 The wrap jumper by Fisherman out of Ireland. 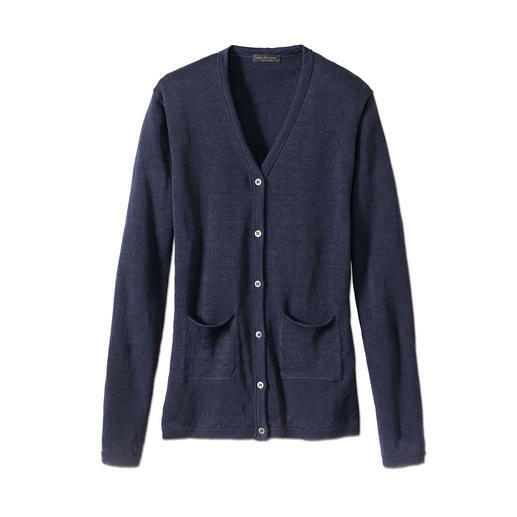 Probably the lightest long cardigan you’ll ever own at just 3.2 oz. 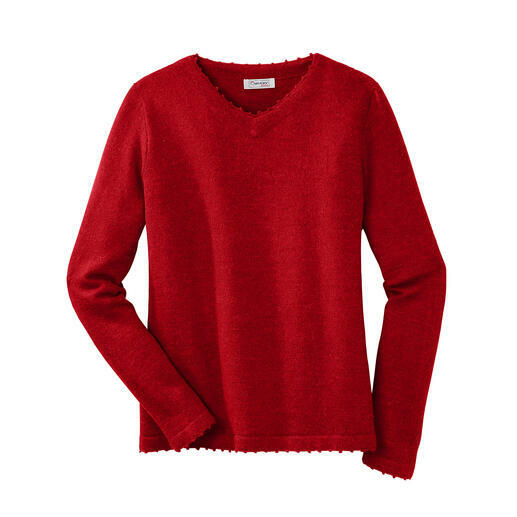 Super-fine cobweb knit with fluffy mohair. Trendy in 4 ways. Purely natural. 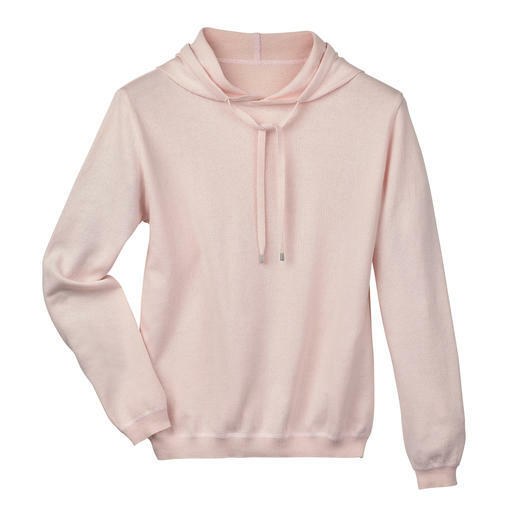 And yet cheaper than many similar pullovers. As airy as a shirt. 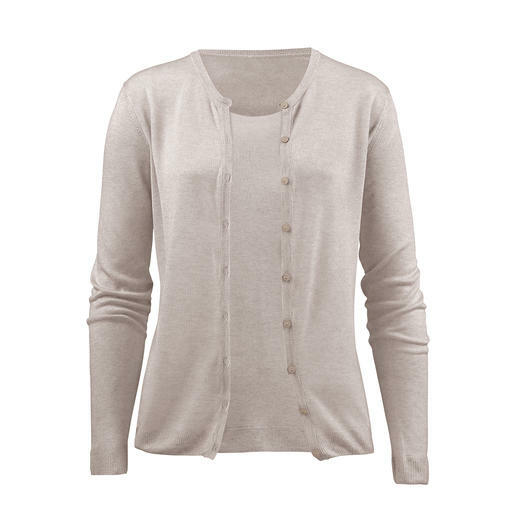 Except it’s made from the finest downy-soft cashmere. Made in Peru by the specialist Raffa using hand-driven weaving machines. Hand-dyed and hand-knitted multicoloured cardigan that goes with everything. The work of art from the Andes. Cardigan in precious alpaca. Hand knitted in 33 colours. 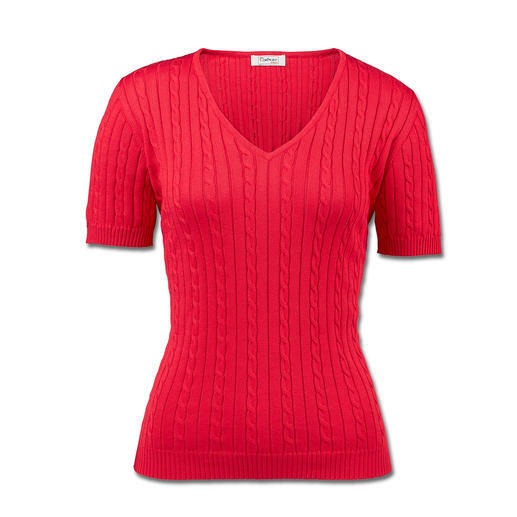 Trendy rib knit – but extraordinarily fine and feminine. 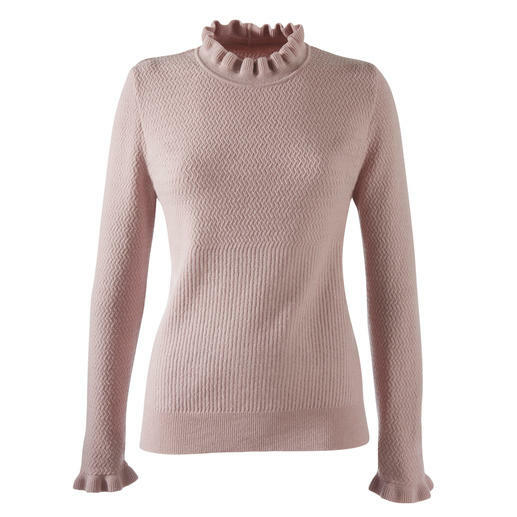 The jumper with trendy turtleneck collar. Gran Sasso. In summer, it is more pleasant, smarter and more beautiful than any tailored jacket. 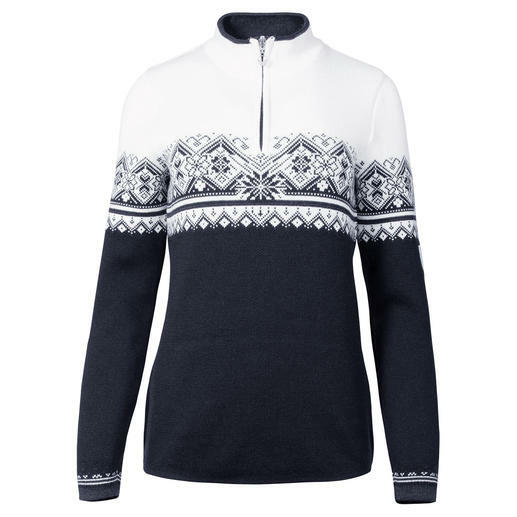 Very few fashionable print pullovers are this luxurious (and yet affordable). By Pashma, India.